Sunshine Through the Rain: Colourful Cuzco! One of the hardest things about living overseas is the regular flow of people leaving. In a month I say goodbye to two precious friends (one thankfully will return in a years time), and these small gifts are my way of thanking them for their friendship and the encouragement they have been to me. 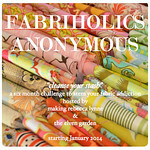 Linking up with TGIFF (which is hosted by Alyce this week) and Sewjo Saturday. And this is my second finish for FAL 2014 Q2. These pouches are wonderful and such a great gift for your friends. 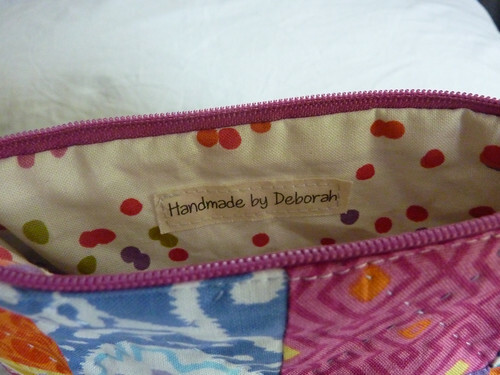 The hand stitches add that extra personal touch, and love the label. Now I've seen your pouches I want to go and buy lots of Cuzco! They look lovely! Gorgeous! 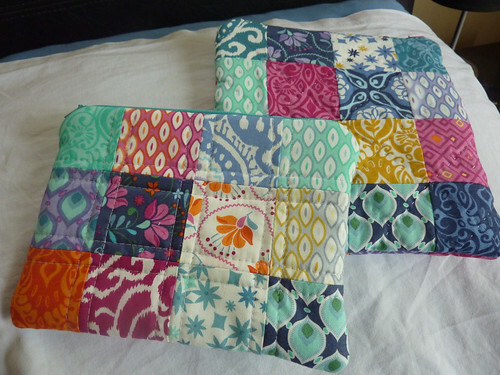 I love Cuzco, in fact I made a whole quilt out of it, alternated with plain charm squares :-) Hope you get some other nice people coming your way soon. A handmade gift is a perfect farewell present - these are also unbreakable and easy to pack. Did you make the labels yourself? So sorry your friends are leaving. A part of you ( and Kate Spain!) will be with them. Love this idea! 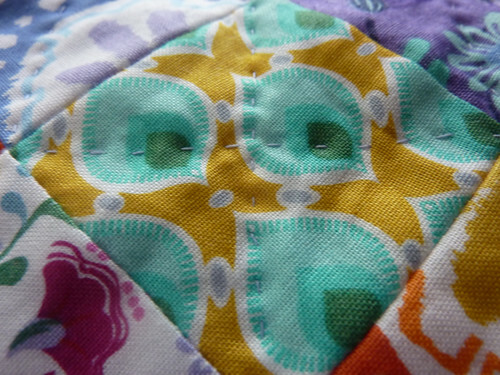 Thank you for linking up to SEWjo Saturday! Hey...we did the same thing. I love your pouches! Goodbyes are always difficult... The pouches are beautiful. Your friends are going to love them and appreciated your lovely gesture. It's hard losing friends when you are living in a foreign land, hope you meet some new BF' s soon :) The pouches are a lovely memento for your friends, I am sure that they will treasure them. Your little pouches are really cute. I got to work on my Cuzco quilt today! Those are beautiful! 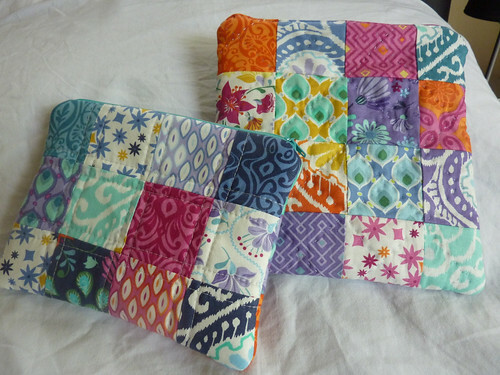 love the fabric line and hand quilting on them! Those are sweet gifts! I like your labels--such a nice touch. Nice. I like your label inside. It makes perfect gift! Very sweet gifts, and I love Cuzco! On a side note, this happens to me often - someone I follow on Instagram also has a blog and it takes me a loooong time to figure this out sometimes! This is the case with you....glad I finally found your blog!